We LOVE Rob and Caroline. Just literally love them. They are some of the kindest and good-hearted people we've ever worked with. They are both so full of joy and it just radiates out of both of them. I can't recall exactly how they found us- I think it was instagram, but I can't be sure. 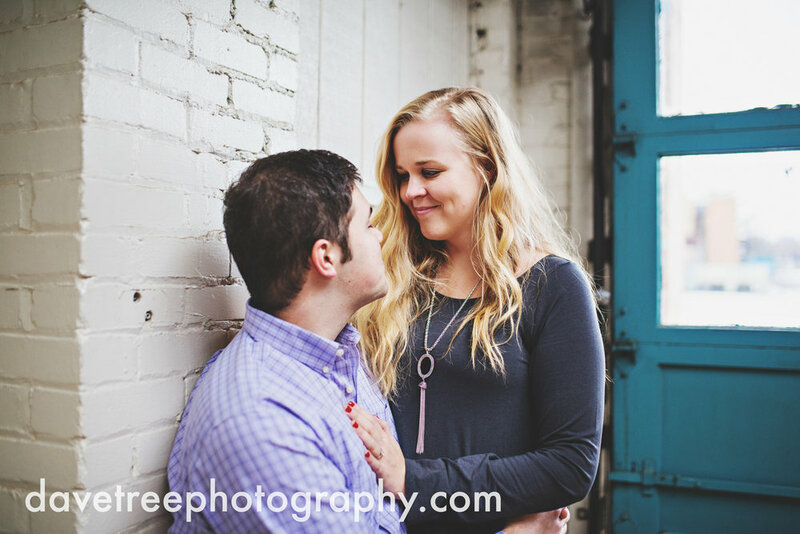 All I know is that they were planning their Kalamazoo wedding from out of state, and found us- and we are so happy they did, because we loved working with them! Caroline's smile can literally light up a room and you can FEEL compassion in Rob's presence- they're great people. Perfectly matched. 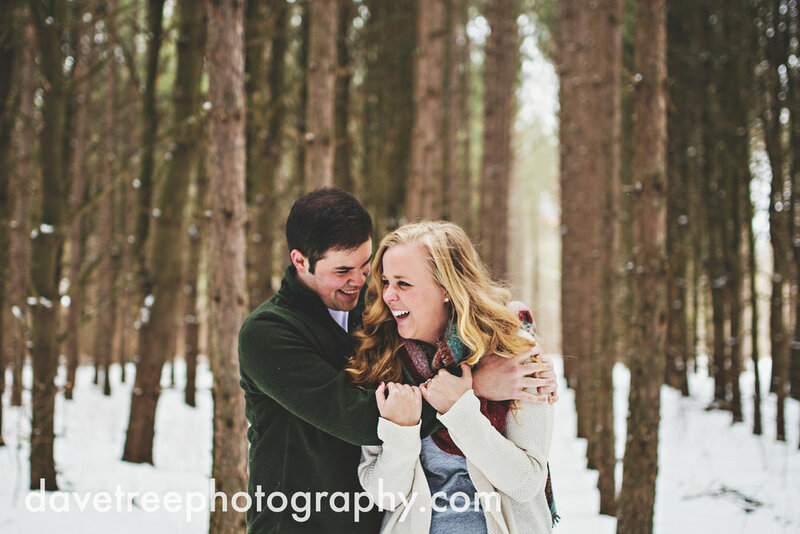 Caroline and Rob's Kalamazoo engagement session started at a nature preserve, and it was COLD. We even had some magical little snowflakes- if you look close- for a few of the shots. 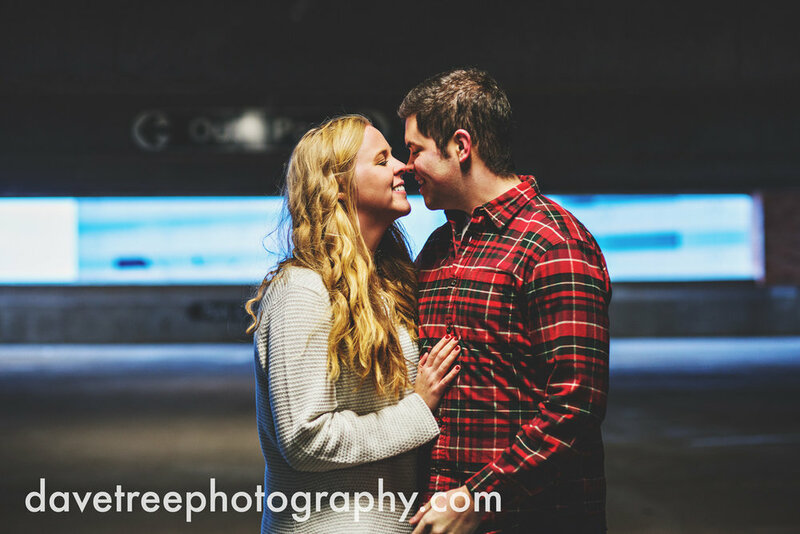 And then moved to an indoor location and finally ended in a parking garage. 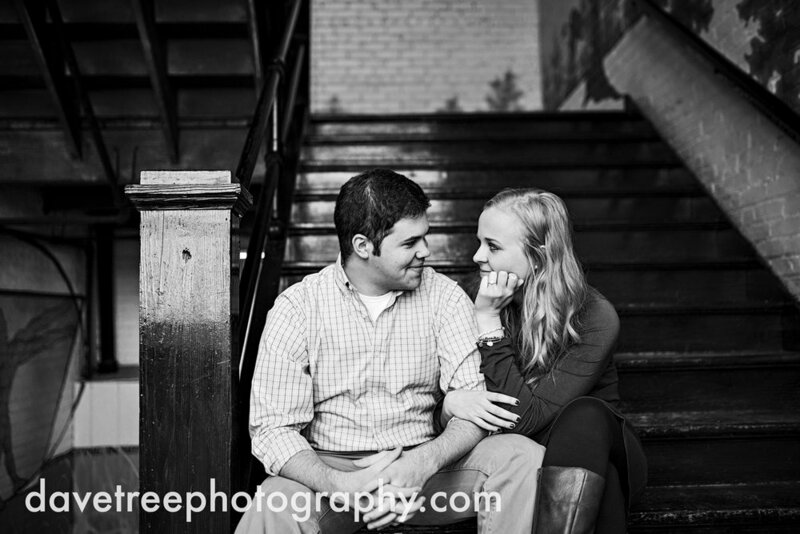 If you are in need of a Kalamazoo Photographer- we are your photographers! Send us a message and let us know what your vision is! 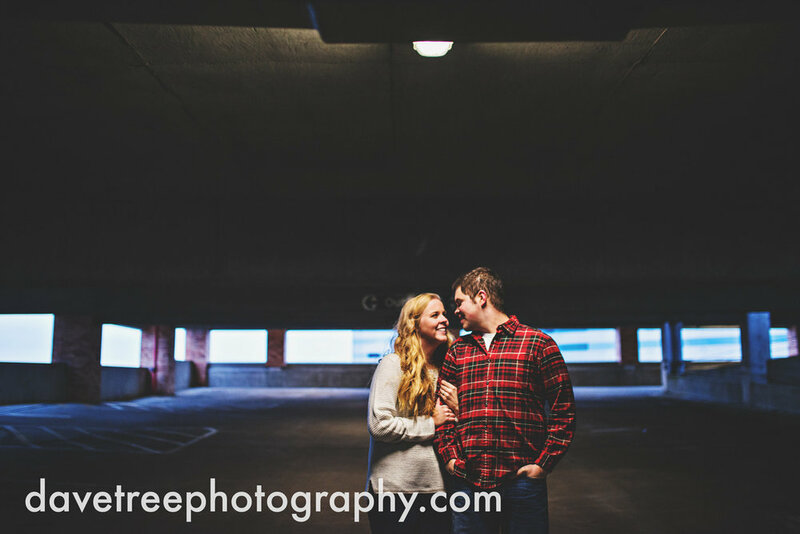 David + Lindsay are the husband & wife photography team behind DaveTree Photography, that specializes in wedding & destination wedding photography. 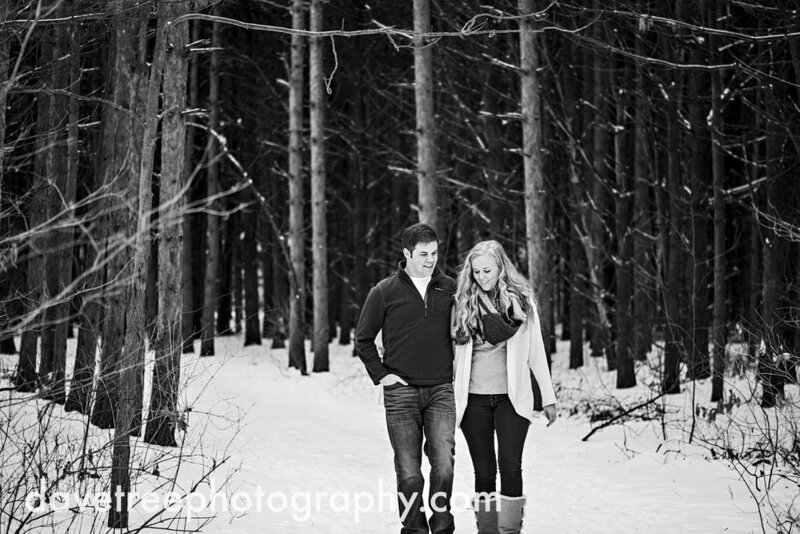 Photographers serving Manistee, Traverse City, Grand Rapids & destination weddings. Wedding photography & family portraits.